Automatic cat doors are handy tools if you want your cat to become an indoor and/or outdoor pet. 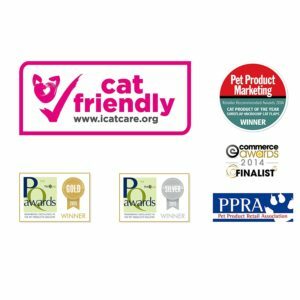 It is scientifically proven that when cats have the freedom to roam the great outdoors, they are healthier and happier in safe environments and with proper care. 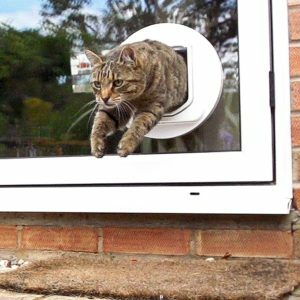 In this article we rank the best automatic cat door to the least. 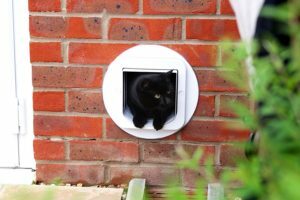 To help you find the best electronic cat door that suits your needs, we have made a list with in-depth reviews. 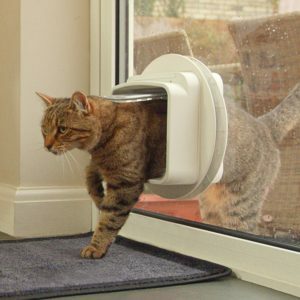 This way you can discover the most suitable automatic cat door for you and your pets. 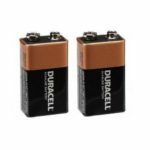 To see an comprehensive review with both the good and the bad, click on the brand or the full review. 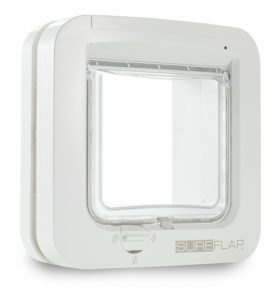 The SureFlap Microchip Cat Door uses an implanted microchip as a key to unlock the door. 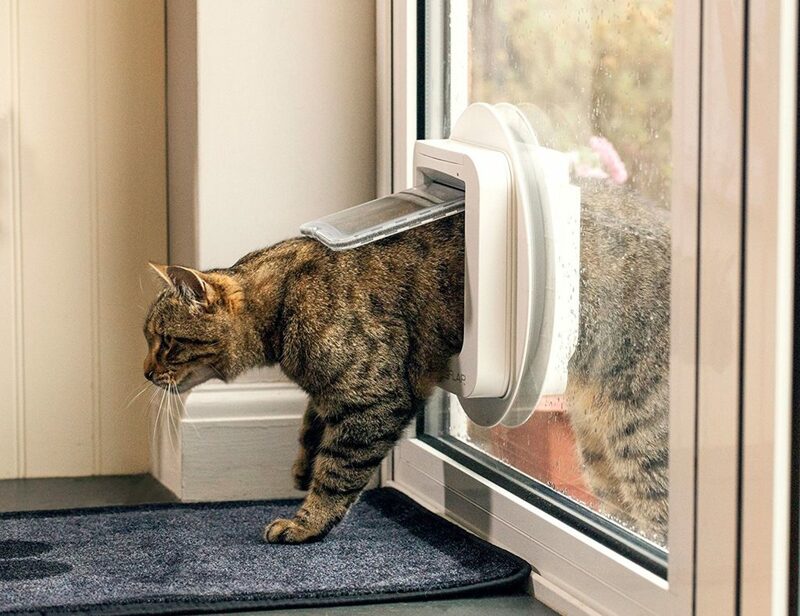 This cat door features a “selective entry”. 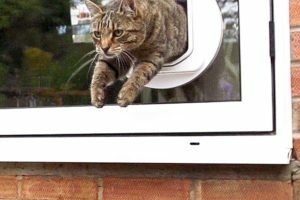 Selective entry means only a cat that has a programmed chip can enter the house from the outside, while any pet can exit. 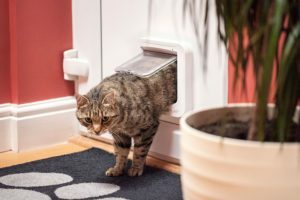 The SureFlap Cat Door has a rigid “flap” with strong magnets that allow an adequate closure when the cat has entered the house, making it impossible for other intruders to get into the door if they are following your pet. You want to stop the neighbor’s cator any other small wild animal from entering your residence. 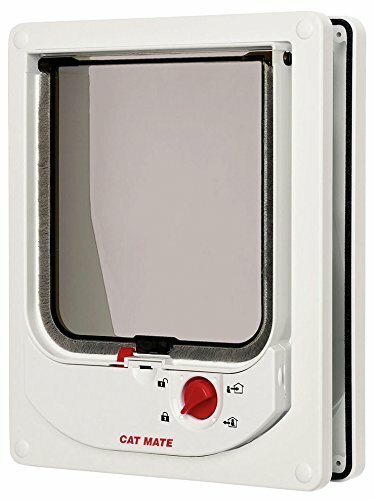 You are willing to microchip your cat for safety and for using this pet door. You have a small to average sized puss. 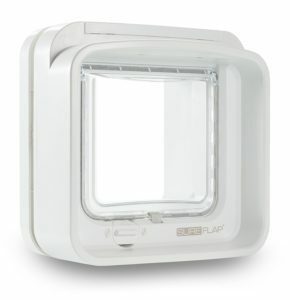 If you have a non-automatic pet flap and you want to upgrade it. 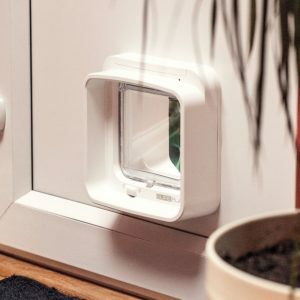 The SureFlap DualScan microchip cat door works with RFID signal, reading a chip implanted under your cat’s skin to unlock the door. 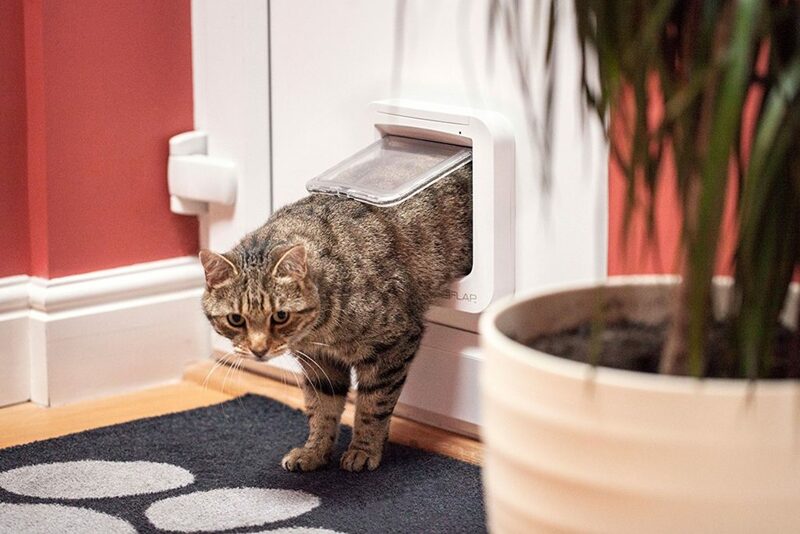 After it scans, your cat can push the flap with its nose or head and get through. 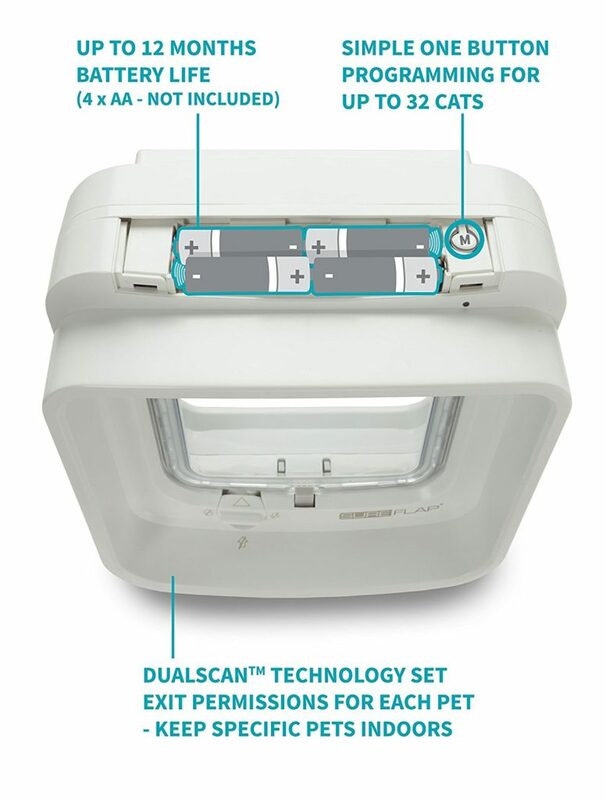 With its dual antenna, one on the inside and the other on the outside, the SureFlap DualScan allows you to control your cats’ movements. 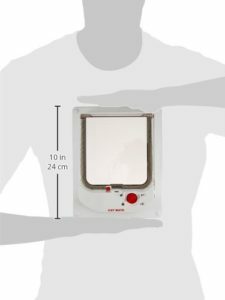 It can keep the indoor-only kitten inside, and the indoor/outdoor cat free to exit and enter. 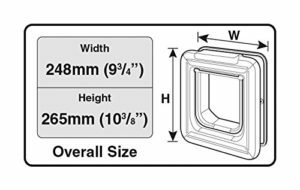 The unit’s double locking system (both inside and outside) keeps raccoons or other unwanted critters from yanking open the door from the outside with their paws. 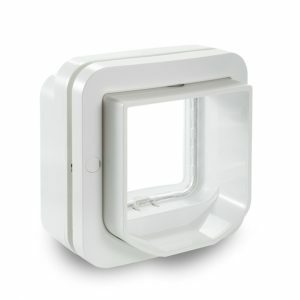 This is an automatic cat door that works through an implanted microchip, and gives you full peace of mind. 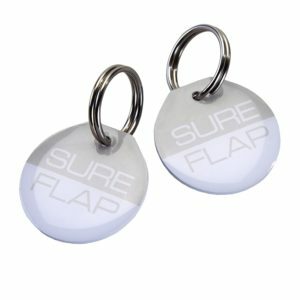 If you don’t want to microchip your cat, you can invest in the SureFlap collar tag with a microchip. The collar tag has the same mechanism of action as the implanted chip. People with small to average size cats. People have indoor-only and indoor/outdoor cats. People who have issues with stopping raccoons and other animals from entering your house. People with a nosy neighbor’s cat who sleeps on your couch and eats your cat’s food. 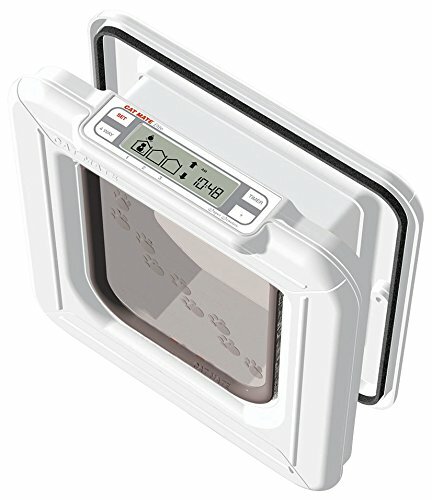 The Cat Mate Elite Super Selective operates with RFID technology to open the device and let the cat go in- or outside. 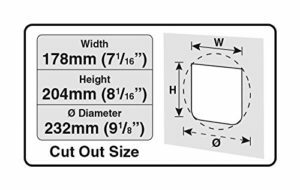 The kitty needs to wear a collar tag containing a unique ID that will be read and recognized by the control panel. 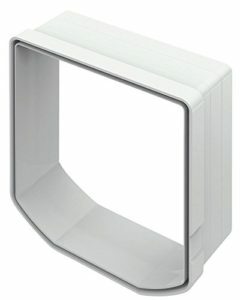 The tag unlocks the door and allows the cat to get through. 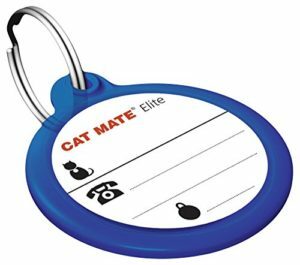 The Cat Mate Elite operates with selective entry and exit. 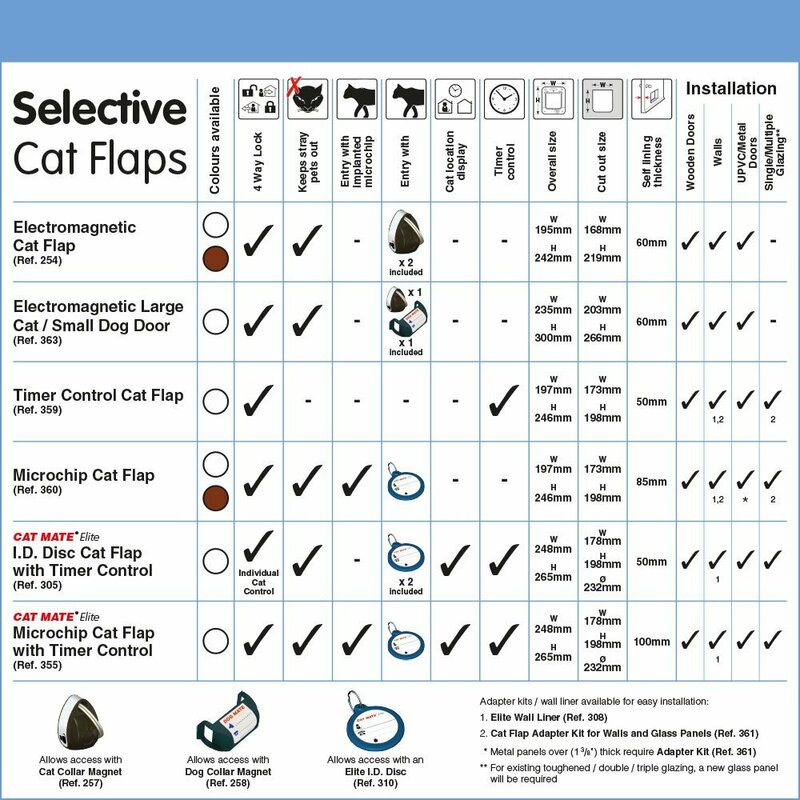 Selective entry means it can be programmed individually for each cat. You can let some cats be only-indoors, while others can have access to both the indoors and outdoors. Great for when if your cat is sick and needs to stay indoors for a while. 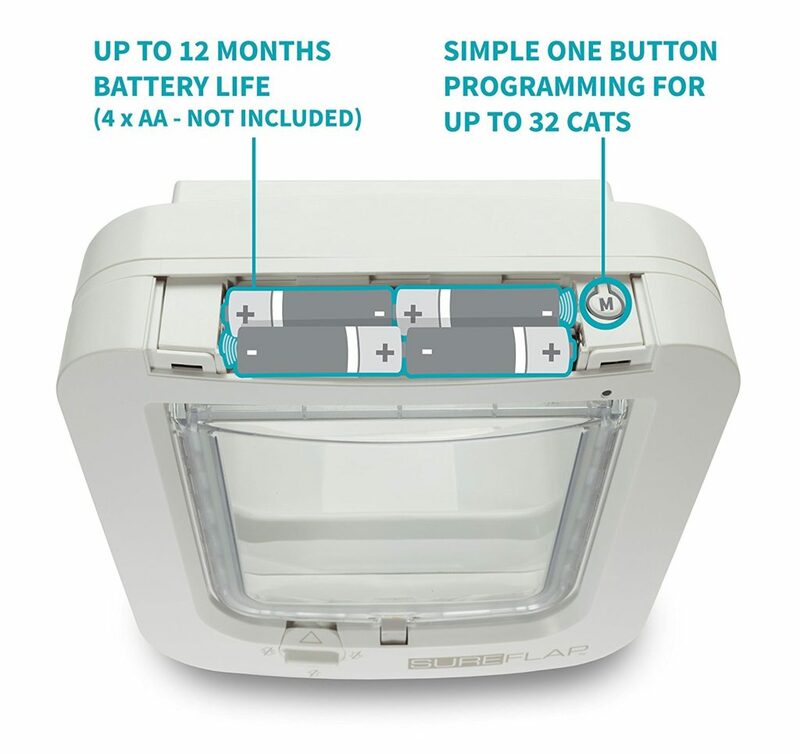 The Cat Mate Elite Super Selective has a timer that enables you to program a schedule for your kitties. For instance, you can program the system to let your cats out after 9 am and keep them inside after 5 pm. 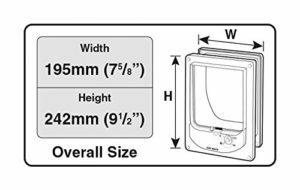 The standard unit comes with two collars with ID’s. The device’s memory allows you to program up to 8 different ID’s. Small to average size cats. Multi-cat households, with one or two indoor-only kitties. 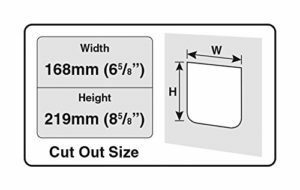 Keep raccoons and other animals from entering your house. 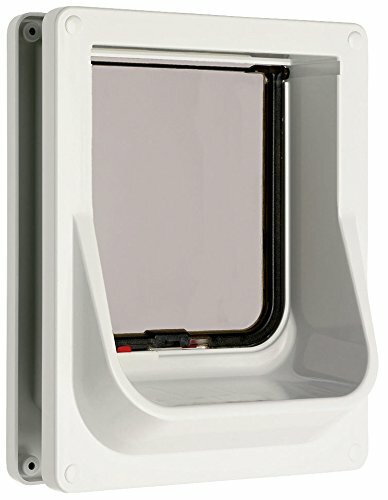 The Cat Mate Electromagnetic door utilizes electromagnetic technology to unlock the flap and let your cats enter, keeping undesired animals out simultaneously. How does it work? 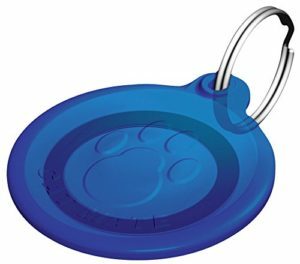 Your pet wears a collar with a tiny magnet as means of an ID tag. 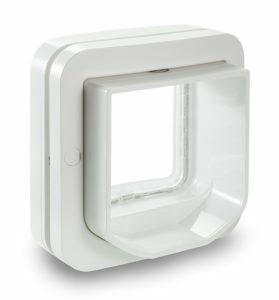 The sensor in the control panel activates when the magnet triggers the device to open. 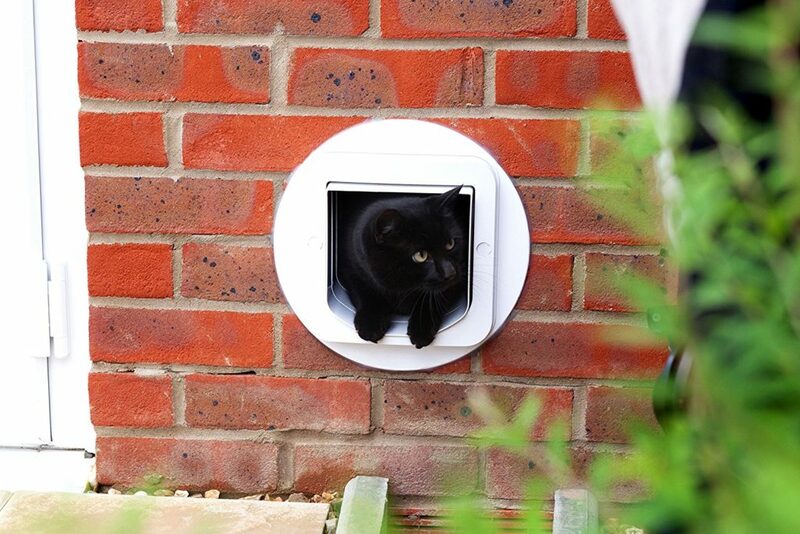 A latch opens, and your kitty can enter your residence by pushing the flap with its head or nose. Only cats with the magnet tag can open the door. The Cat Mate Electromagnetic flap gives freedom to you and your felines. 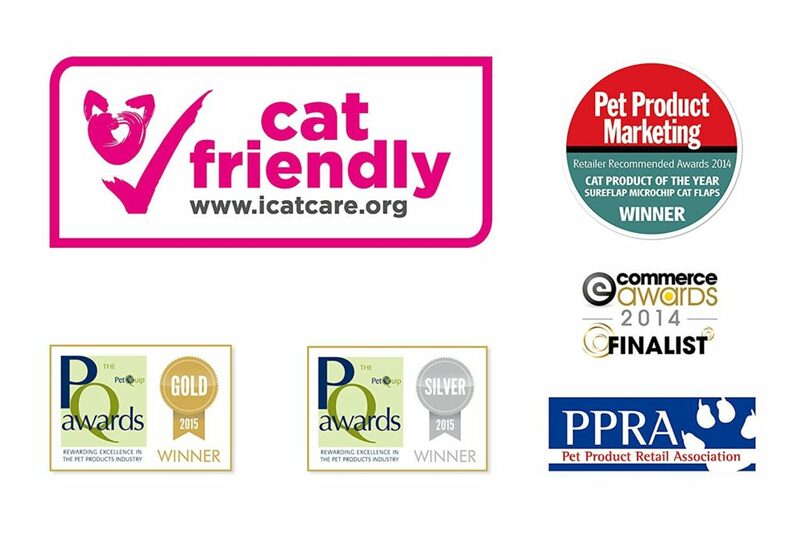 Your cats will be able to come and go as they please and you’ll be forever free from being their personal porter. Small to medium sized felines. Cats that are not not overly sensitive to sounds and noises. People who live in raccoon- or other wild small animals-free areas.